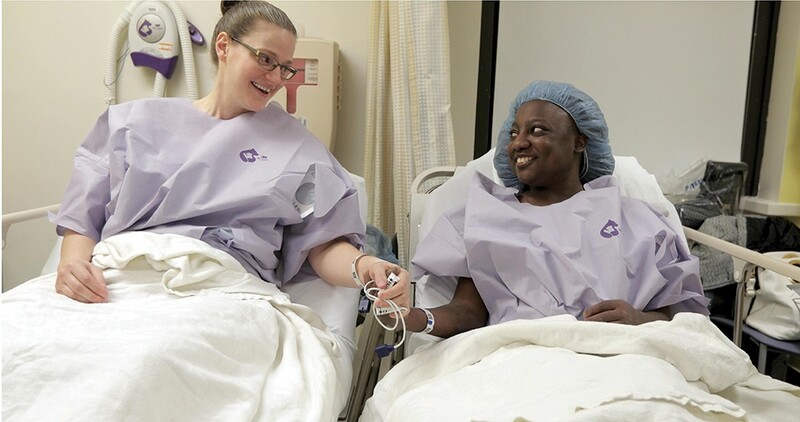 Transplant participants Jennifer Buda and Annakay Dennis before surgery at Westchester Medical Center. Annakay Dennis needed a miracle. After more than a decade of health issues starting when she was a preteen, she also deserved a break. At nine years old she was diagnosed with lupus, an autoimmune disease that can attack any part of the body. Later came diabetes and a series of medications to control both conditions. In 2016, when Dennis was just 21, the lupus entered her kidneys and she went into renal failure. "Too many things happened to me at this young age," she says. "When my kidneys failed I had to go to dialysis three days a week, spending four hours on the machine, and I was going to cooking school five days a week. I was tired all the time." A new kidney would give her new life, but initially, the idea of surgery was too scary for her. After a year of dialysis, Dennis saw it in a different light and agreed to put her name on the list for an organ transplant. Her doctors at Westchester Medical Center said she'd have to wait about five to seven years to receive a kidney from a deceased donor—unless she could find a living donor herself. It wouldn't be easy: Various health issues ruled out her close family members as potential donors, and since Dennis had immigrated from Jamaica to New York several years back, her local network was not a large one. But it only takes one good kidney match to make a world of difference, and providentially, someone stepped forward with a precious offer. It was Jennifer Buda—Dennis's assistant youth-group leader at the Abundant Life Tabernacle Church in Kingston—who couldn't get the idea out of her head that maybe she could help her fellow parishioner. It's a rare person who will donate an organ to a non-family-member, undergoing major surgery and facing the risk, however small, of complications—but for Buda, the idea of family extends beyond the usual definition. "I'm the oldest of eight siblings, and if one of my brothers or sisters had been in this situation, I'd have been the first in line to try to give them a kidney," says Buda, 34, who works as a registered nurse at the VA Hudson Valley Health Care System Castle Point campus. "In Christianity, we call ourselves the family of God. I'd seen Annakay go through so much and I thought, if I'd do this for my blood brothers and sisters, then why not for her? I'm also a nurse, and from the very beginning in nursing school, all I ever wanted to do was help people." After a series of medical tests, Buda found that she and Dennis were a viable match. On January 11, 2019, they went into surgery, where doctors extracted one of Buda's healthy kidneys and spirited it into Dennis's abdomen; the organ turned pink and started working right away. For both recipient and donor, it was a life-changing act. "It feels amazing and I was so grateful to receive a kidney from Jennifer," says Dennis, who describes Buda as an angel in her life. "She has become like an older sister to me." We live in exciting times for organ transplantation, as the field continues to evolve at a rapid pace since the first successful kidney transplant, from one identical twin to another, in 1954. Two years later doctors performed the first bone marrow transplant, also between identical twins. The first liver transplant from a deceased donor happened in 1963, followed by intestinal and multivisceral transplants as well as miraculous heart and lung transplants. In 1989 came the first living-donor liver transplant, when a sick girl from Chicago received part of her mother's liver. Just in the past five years, we are seeing babies born after uterus transplants from both living and deceased donors. Also new to the scene is face transplant, which can change the life of a disfigured person and restore lost function, including the ability to speak in some cases. Meanwhile, researchers are hard at work attempting to grow human organs from stem cells, which could revolutionize the playing field altogether and potentially put an end to the shortage of organ donors worldwide. New York State, in fact, has one of the lowest rates of organ donation in the country, with only 35 percent of driving-age individuals registered as organ donors. Even more rare than deceased donors, of course, are living donors like Buda who altruistically choose to give a life-saving organ while they are still alive themselves. "The action of a person like this is well-respected," says Hiroshi Sogawa, MD, a multi-organ transplant surgeon and the head of kidney transplant at Westchester Medical Center, who explains that outcomes have improved since the beginning of transplants, thanks to surgical innovations and better immunosuppressant drugs. "Any operation has risks of complications, long-term problems, or even death," he says. 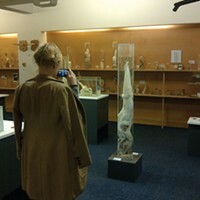 "Yet transplantation has evolved and this is not experimental. It's standard procedure." Of course, not everyone is lucky to find a living donor, and people can get desperate waiting for a new organ. That's why hospital transplant teams have a committee to assess potential donors and make sure there is no other interest such as money exchanged (it's illegal in the US to sell your organ to someone). Yet desperation can also lead to creative solutions, such as the national donation chains that have cropped up in the last five years—allowing a family member or friend who is not a biological match to donate their organ to a stranger so that, in turn, their loved one may receive an organ from another donor on the chain. For some, deciding to donate an organ is an impassioned choice, even a calling. That's how it was for Katy Matthews, a Brooklyn-based maker of gemstone malas and the owner of KaMala Jewelry. 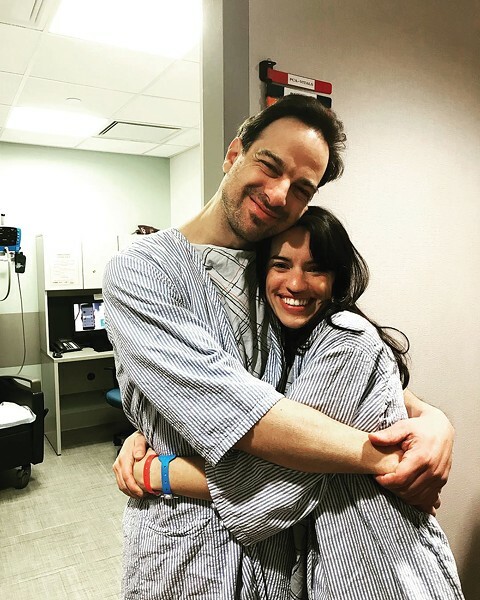 When Matthews heard that a friend, Ben Fleisher, was in need of a kidney, she knew within a blink that she would be his donor. "There are a lot of things in life that you're not sure about, but this is something that was very clear," she says. Fleisher, an acupuncturist and the proprietor of Woodstock Healing Arts, an integrative medical and wellness center in Woodstock, had been gradually losing kidney function due to a condition called IgA nephropathy, in which an antibody called IgA builds up in the kidneys and causes irreparable damage. He had started dialysis in July 2017. "For the first couple of months, the dialysis made me feel better, but then I felt like I was walking through mud," says Fleisher. "The body accumulates water and I started to feel worse and worse. I would leave dialysis with a crushing headache, exhausted and out of it." Fueled by empathy, Matthews took action and signed up for donor testing at Mt. Sinai Hospital, where Fleisher hoped to have his transplant surgery. As a parent—she has a five-year-old boy, Elias—she was particularly moved to help. "He's a human who deserves to live in his body and feel good," she says of Fleisher. "Venetia [his wife] was a mother with two young girls, a business, and a very sick husband. They had two baby girls who needed to know their dad. For me it seemed so simple: I have something that somebody needs and they're suffering. I can help." The biggest hurdle to donating were the fears of some family members, who worried that she was putting herself at risk. "There's not a lot of research or information on what it means to donate an organ," adds Matthews. "People act like you're signing your life away. It's scary for a lot of people." Ben Fleisher and Katy Matthews moments before surgery, Mt. Sinai Hospital, March 27, 2018. With an uncanny prescience, Matthews knew that she'd be Fleisher's donor, but it took a while for his medical team to realize that as well. Six or seven months after signing up to be tested—after several other would-be donors were turned down—she received the call to come to the hospital for testing. Donor testing is a rigorous process but, says Fleisher, "Katy was hugely determined. Anything they brought up as a concern, she knocked it down. She was like a ninja." In the end she was pronounced an excellent match, and the two went to surgery on March 27, 2018. Designed to be minimally invasive, the operations went without a hitch, performed by robot for Matthews and laparoscopically for Fleisher.